This was the first book that i have read by and indie author and i have to say i loved it. it was different from any books I've been reading lately and it was a refreshing break. 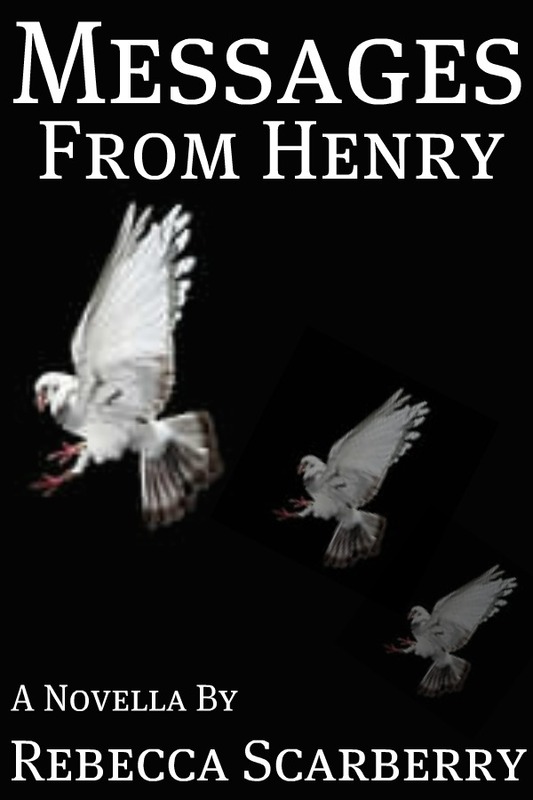 when the world out side her window is deadly silent Tammy knows something is wrong.When a note from her neighbour arrives via a beautiful white pigeon Henry her fears are confirmed. 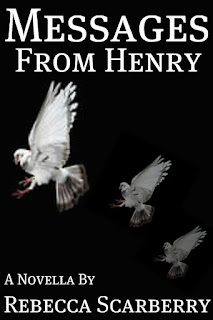 Her friend Evelyn has become the victim of a kidnapping and it appears the only way to find her is via notes from her beloved pigeon Henry who is following her every location. but with clues to her kidnapping dwindling and her only communication to the outside world Henry tiring will Tammy ever find her friend alive? I really enjoyed this book. Its not that long so it was a nice little read on a Sunday morning read. within the first page i was drawn in you just knew something bad was coming! i loved the use of a carrier pigeon as the hero of the day. this book had me gripped to my seat because at times you didn't know whether they were going to find Evelyn. when Henry started to tire or when he was kept captive i thought that could be it! i loved how you couldn't predict what was going to happen i was sure it was going to be her son!Generally this would have been a book i would have read but am so glad i did!! I loved Henry and that says a lot because i have a phobia of birds! i just loved his little personality! i loved his passion to find his owner! Thank you so much for this wonderful review. Love it that it had you riveted. Tried very hard in this debut novella to keep it unpredictable. So glad I accomplished this. I can't wait for you to read a short story, Rag Doll that I wrote and will soon self-publish. Keep reading and writing reviews like this. I can get all the ebooks you want gifted to you. I read your review for Rebecca's book and agree with you, also you are so right about Shades. I was just wondering if you would be so kind to read my book, its a true story called Wrong Place Wrong Time, it has been getting good reviews. Let me know if you want to read it and if you do, look forward to your review. Also now following your blog. I really enjoyed your review and I can't wait to read it. I have not heard of this book but I am on the hunt for it!